© Nancy Ney. All rights reserved. We went out at 6 am to look for wildlife to shoot in the Samburu National Park. 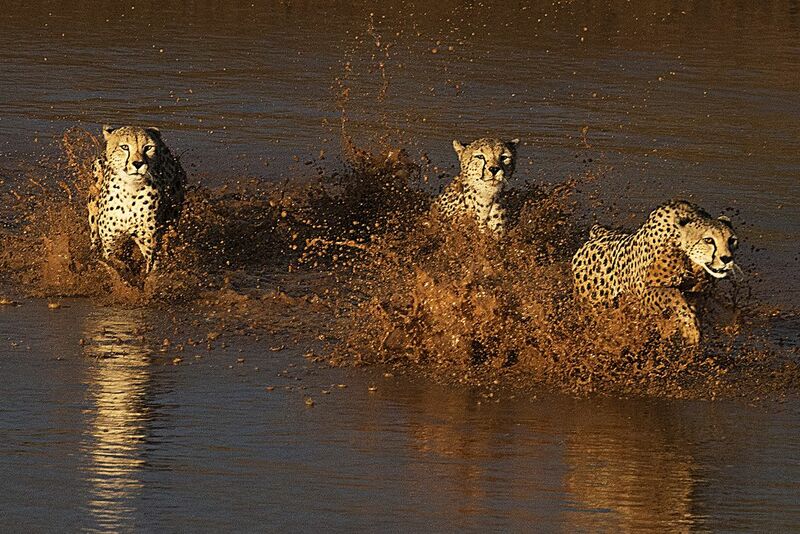 We came across three cheetahs at the river. After watching them look around for awhile they entered the river and started swimming toward us. It was 6:30 am and the sun was just rising at them. Perfect lighting and a very lucky sighting. Date Uploaded: Aug. 17, 2017, 5:01 p.m.